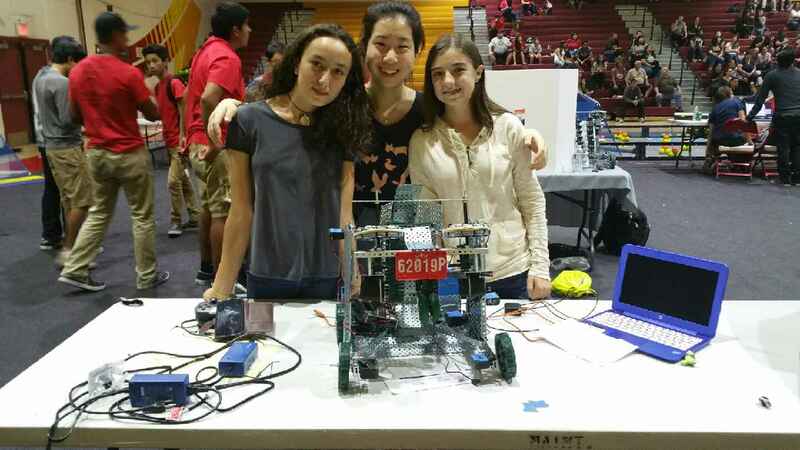 Our new VEX Robotics team had their first competition on Saturday. This small but mighty team had very little time to build their robot, but after many long lunch and after school hours, the SeaQueens were able to finish in the semi-finals. Most importantly, they learned a TON and had a great time. They are equipped with some experience and new plans to modify their robot for the next competition in January. Pictured: Carmen Boixo, Alexis Joo, and Madison Morris. 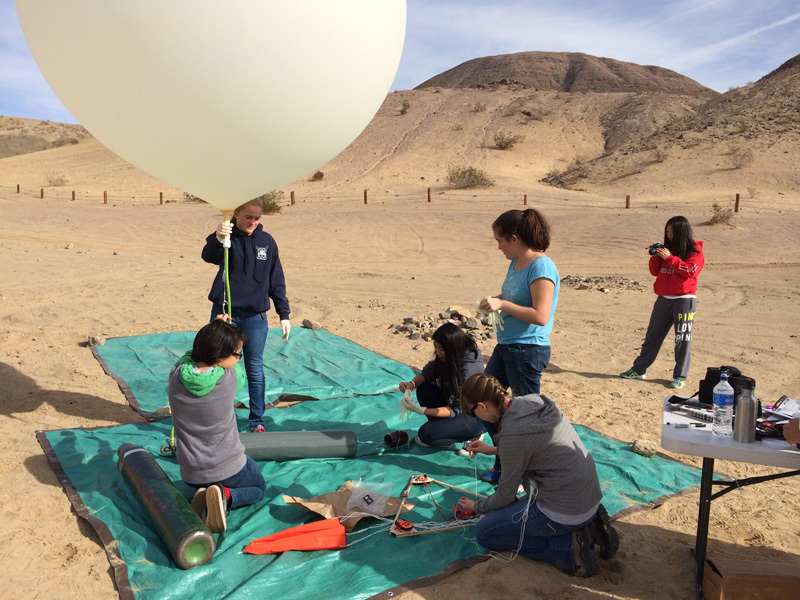 On Sunday, the Space Team had an amazing and successful launch. 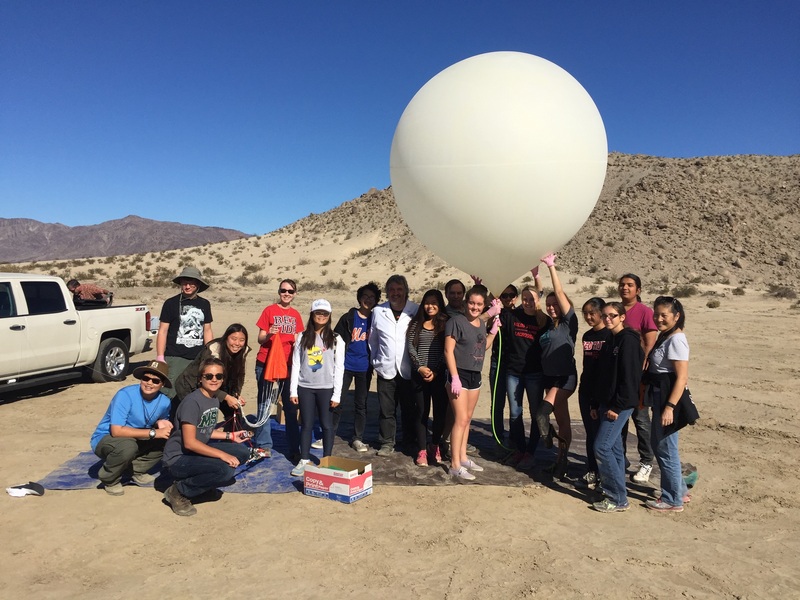 Starting at 5:30 am and travelling to somewhere in the desert near Barstow, the team of about 15 students ranging from 8th to 12th grade launched their high altitude balloon. 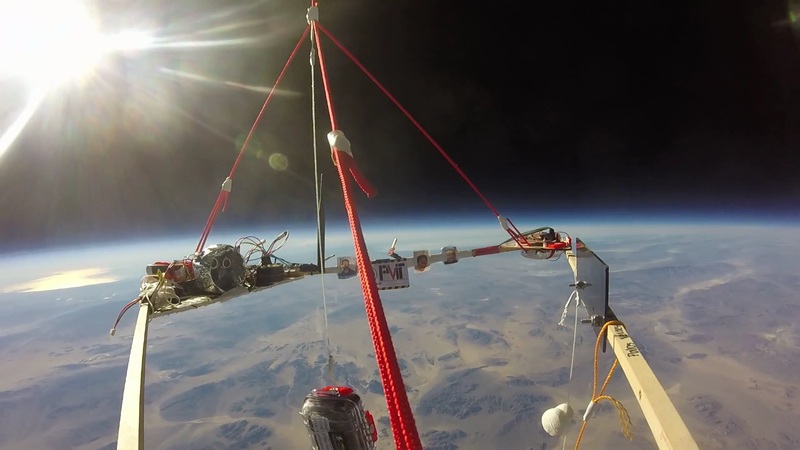 After tracking the balloon for several hours as it traveled to over 109,000 ft in altitude, the balloon landed in the Mojave National Preserve just about where it was predicted to land, avoiding mountains! The team hiked for an hour and were within 0.5 miles of the landing site, but the sun had set and and we had lost too much daylight. 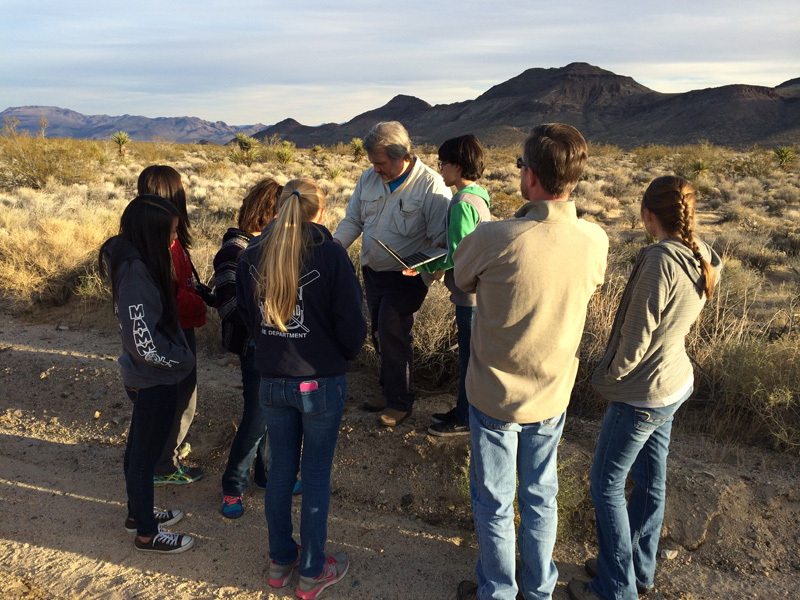 The balloon was recovered on Monday, fully intact with all hardware operational, thanks to team leader Leonora Meroth and her dad who spent the night near the Nevada border, then hiked in to the landing site in the morning. 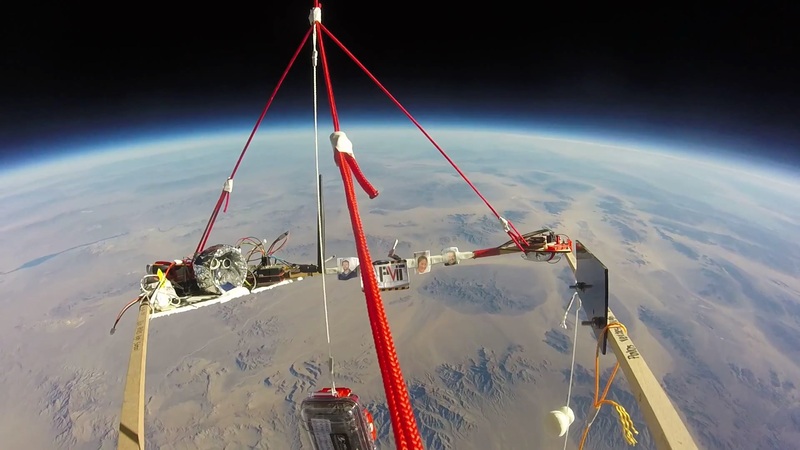 The team will be busy analyzing the data collected by the on-board sensors, then preparing for the Global Space Balloon Challenge in the Spring. The First Robotics Team was able to secure two grants to fund their competition this year. Boeing and Google each made significant donations to offset the costs for registration and hardware. PVIT would like to say a HUGE “Thank you” to Ron Lee of Boeing and Sergio Boixo of Google who applied for the grants on PVIT’s behalf. The Marine Advance Technology Education (MATE) Organization (http://www.marinetech.org/) released the specs for their 2016 competition. The Underwater ROV team has their work cut out for them as they are challenged to design a dual-purpose robot that can operate in the harsh environments of both the deep sea and outer space, with the ability to travel to Jupiter’s moon Europa. The team will be working long hours from now until May when they attend the regional competition.